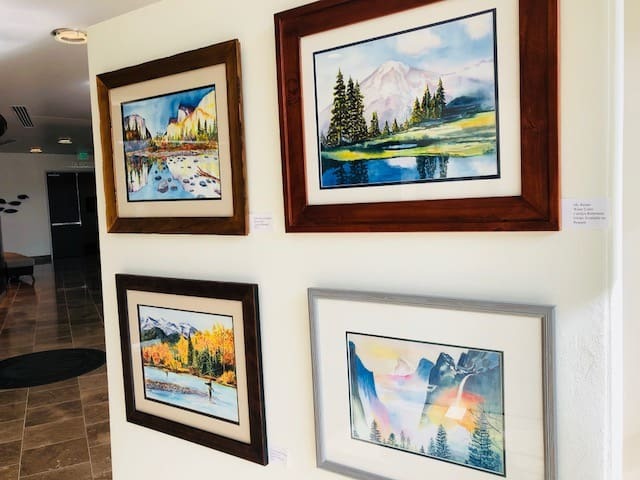 Vista resident and award winning watercolor artist Carolyn Robertson currently has over 50 of her watercolor paintings on display on the 2nd floor of the Civic Center in the Civic Gallery, just outside of the entrance to the City Council Chambers. 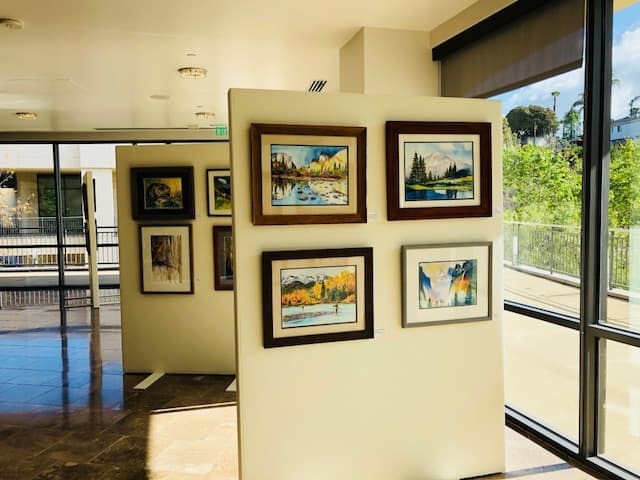 She is a solo artist selected to display her paintings in the Civic Center. 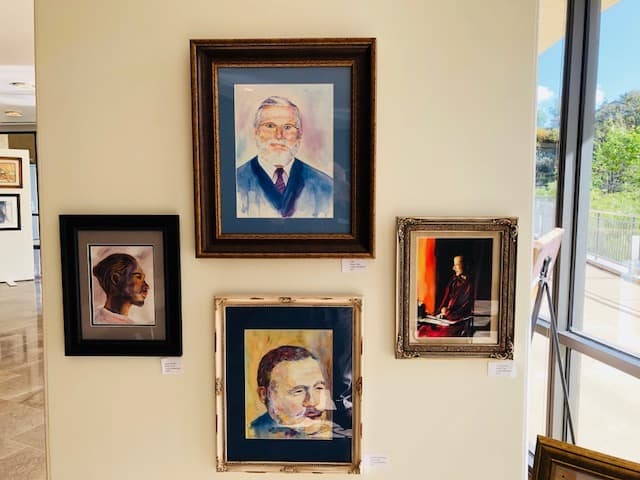 The paintings will be on display until April 19th and is free and open to the public. Civic Center hours are Monday – Thursday, 7:30-5:30 and every other Friday. Many of the paintings are available for purchase. 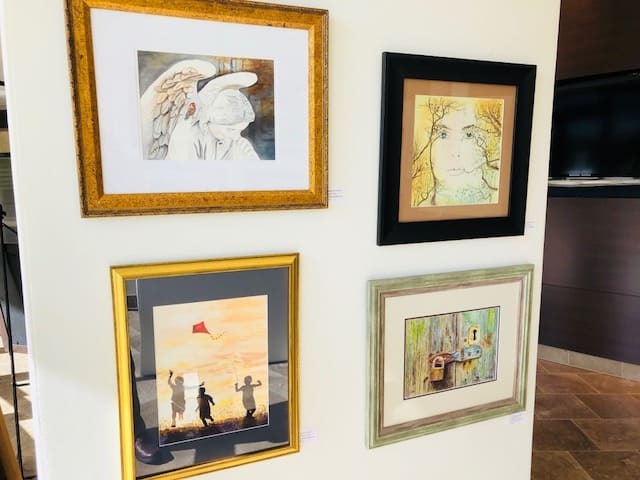 The exhibition is called “Reflections of People, Places & Things” featuring a variety of her watercolor artistic styles. 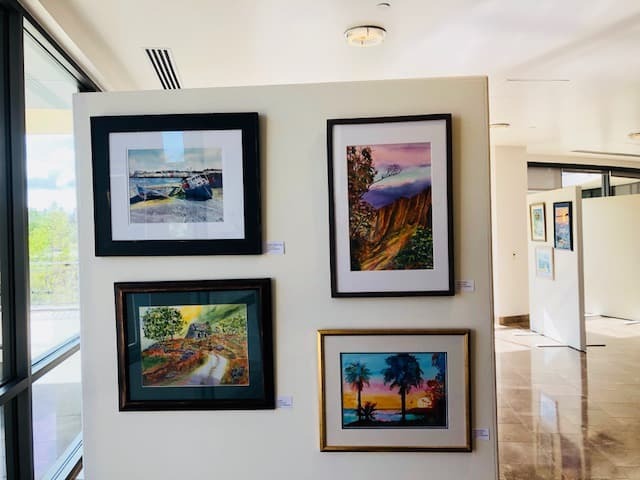 Carolyn is a member of COAL (Carlsbad-Oceanside Art League) and the San Diego Watercolor Society where her work is displayed each month and where she has won a number of awards. 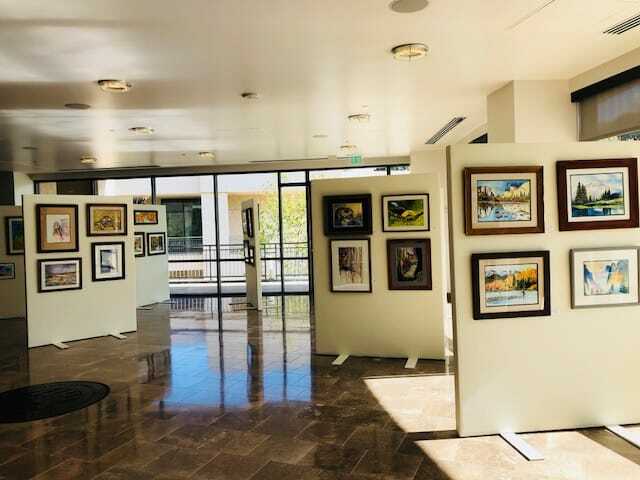 Her work has also been displayed at the San Diego County Fair, Lions, Tigers & Bears Exotic Animal Sanctuary in Alpine, the Rancho Buena Vista Adobe Art Gallery, the Poway Performing Arts Center, the City of Carlsbad Library, the Carlsbad Village Arts Festival, the Vista Chamber of Commerce Offices and the St. Marks Methodist Church Art Festival. 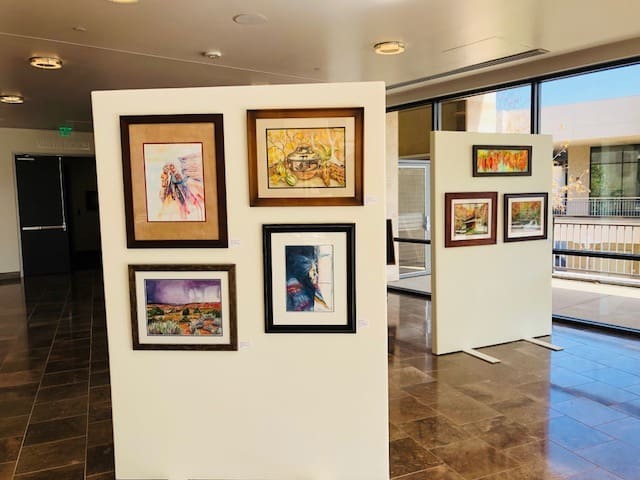 A meet the artist reception will be held Tuesday, April 10th in the Civic Gallery from 3:30-5:30 pm, and is open to the public.